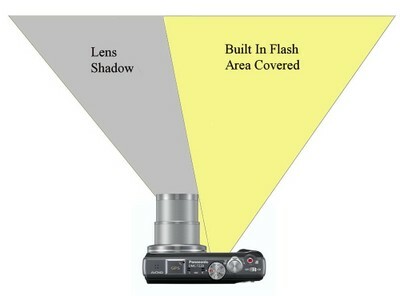 Many cameras with built in flash will be affected by ‘lens shadows’. 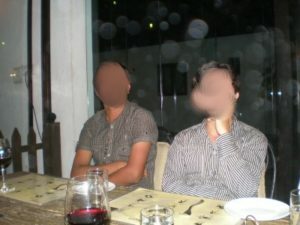 Even expensive DSLR cameras can suffer from lens shadows when using the built in flash. The nearer that the flash lamp is positioned to the lens and the larger the size of the lens, then the more pronounced the problem will be. The position of the shadow will also vary depending on the location of the flash lamp in relation to the lens. This is not a fault and cannot be rectified. My Panasonic Camera does not see the SD Card. Some Panasonic cameras have a ‘Clipboard’ function. If clipboard is selected on the top function dial then the camera will only work on internal memory. The SD Card will not be accessible. Why are some of my pictures misty or hazy? Make sure your lens is clean and free of finger prints. A camera lens can mist up suddenly when going from cold temperatures to warm. Wipe the lens with a soft, clean micro-fibre cloth. Why won’t some SD Cards work in my camera? There are various types of SD Card. Standard SD cards only have a capacity of up to 2GB. Standard SD cards up to 2GB will work on all cameras. SD HC Cards (High Capacity) have a capacity upto 32GB but can only be used in a camera that has the SD HC logo. SD XC cards (Extended Capacity) are available for capacity up to 2TB but will only work in a camera with the SD XC Logo. Always make sure that the logo on the SD card matches the logo on the camera. Click HERE for more information on SD Cards. Why won’t some of my pictures display on my digital camera? If you connect your camera to a computer or have placed your SD card into a PC card reader and then edited any of your pictures on the PC this can cause them to no longer display on your camera. Always make copies of your pictures and save them on the PC before editing. Only edit your copied pictures not the originals. Only keep original unedited pictures on the SD card. Do not rename any files or folders on your SD card. Why are the pictures I take out of focus on my digital camera? Please ensure that you have ‘auto-focus’ selected and have not selected Macro mode. Why won’t the flash work on my digital camera? Please ensure that the flash is not set ‘off’ and that you have not selected movie mode or scenery mode. Why is my battery life poor with alkaline batteries? Digital cameras require a constant high current supply. Alkaline batteries are unable to provide enough power. Manufacturers recommend using rechargeable NiMH batteries rated at 2100mha or higher for best performance from your camera. Please visit: http://www.samsung.com/uk (the ”/uk” is important because if you go to ”.com” you will not be able to download software compatible with digital cameras purchased in the UK). In Home Repairs. How do you know the part I require without inspecting my product? Our highly trained team of expert engineers are able to diagnose the majority of faults received via the description you have given. Nine times out of ten the engineer will have the correct part ready to repair your set upon arrival at your home. Why does my camcorder have a black picture (or a strange vertical streaks) on Camera mode? Many camcorders of 2 -4 years ago suffer from common failure of the CCD imager, please contact us for repair. In Home Repairs: Do you have to take my TV away? This will depend on the fault description we have received. Once we receive the call or completed online repair form, a senior field engineer will contact you to discuss your product’s fault. The field engineer will endeavour to work out the best route possible to repair your product without causing you inconvenience. How long will it take for my repair to be complete? We aim to complete most repairs within a week however we cannot guarantee turnaround times. Why do I get a blank playback picture on my camcorder? This is very commonly caused by a clogged video head, use of a good quality head cleaning tape may resolve this. You can find many more up to date FAQ’s here at Panasonic. Why do I see grey bands of blocks on my playback picture?